Nasty cold weather has kept me in the club house during the early spring golf season this year. But yesterday I got out for my first 18 holes of the golf season at my home course. Gorgeous day, temps just right and not too much wind. I played with another woman from the WGAM (Women’s Golf Association of Massachusetts). A third was supposed to join us but she was a no-show. Not a problem. Our round moved more quickly than I anticipated, and though I did not play well, I was satisfied with a few shots that went straight down the fairway. It was a good chance to see the kinks in my game and what I need to work on if I succeed in dropping 5 points off my GHIN: my goal for this season. Couple things I learned right off the bat. I need to wear better socks. After walking 5 miles and pushing my cart around the 18 holes my feet were not feeling happy. As soon as I got home I changed into a pair of Telic Women’s Comfort Thong Sandals that I picked up at the PGA Show back in January. These are great sandals that really massage your feet as you walk. I tested the Chromax balls – the super hi-reflective golf balls. The company sent me a few to try out. The hi compresson distance ball compares with a Titleist ProV – If you have a fast swing and like a hard ball, they work well. Putting is a different story. If you are used to a softer ball, the hard surface of the Chromax Distance might put you off. But I liked the way the ball responded. Unfortunately I lost my ball in the pond on the third hole. Sigh. But I gave away more Chromaz balls and will post a review later. It was a good first round for me. Even if my score card didn’t shine, just being outside was fabulous. Can’t wait till next Tuesday when the League hits the links. 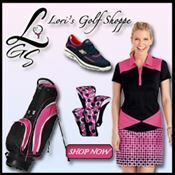 Mother's Day Gift Ideas for the Golfing Mom In Your Life... Or For You! 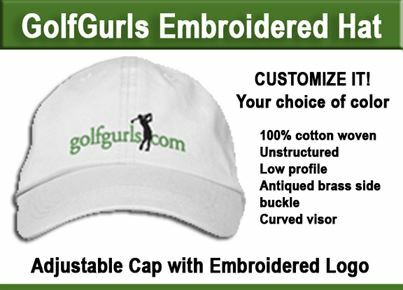 ← Mother’s Day Gift Ideas for the Golfing Mom In Your Life… Or For You!